Did a fatal security lapse contribute to this tragic Fort Lauderdale nightclub shooting? A shooting outside BAM nightclub reportedly claimed the lives of 21-year-old Wendell Soliphar and 30-year-old Louis Simon Wednesday morning, July 5, 2017. According to 7 News, gunfire erupted outside “the Broward Arts and Music Nightclub, also known as BAM, along Northwest 20th Terrace and West Broward Boulevard.” Relatives apparently told 7 News, Mr. Soliphar was “leaving the club” and “got caught” in the hail of gunfire. 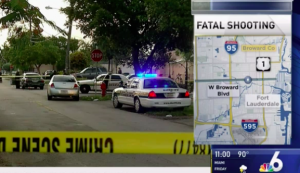 NBC 6 reports, Mr. Simon and a third victim were transported to the hospital, where Mr. Simon succumbed to fatal injuries. The NBC 6 report reveals the nightclub was the subject of a prior shooting investigation in November 2015. Were any additional security measures, such as bright lighting, surveillance cameras and security patrols, implemented by the nightclub owner or management following prior media reports of gun violence? Generally, property owners are required to protect all patrons legally on the premises from any foreseeable harm. Should the facts of this matter reveal that the property owner or management failed to provide adequate security to protect those on its premises, the families of Wendell Soliphar and Louis Simon may seek justice and elect to pursue legal claims for their wrongful deaths. Additionally, the other victim of this tragic shooting may pursue legal claims for injuries.